Your cruise ship has ported in Costa Rica, and you've got several hours to explore. How will you choose to spend your time in this beautiful country? Does creating your own shore excursion and traveling with your preferred group in a comfortable, air-conditioned private van sound appealing? 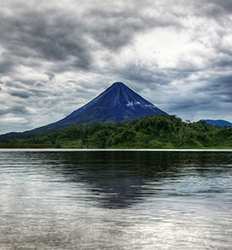 If so, you are one of our favorite clients: those who opt to choose the best experience in Costa Rica rather than just checking off their bucket list. 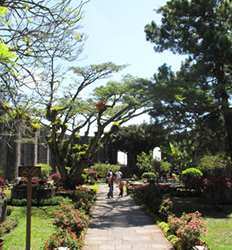 There are so many incredible things to do in Costa Rica that we want to share them with you personally. 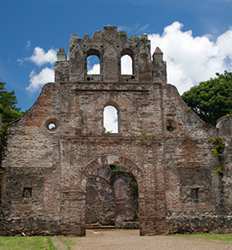 Opt for your own customized private tour in Costa Rica and board your cruise ship knowing you will have the most unique shore excursion from Puntarenas. From the Arenal Volcano in the north to the Manuel Antonio National Park in the south, we have you covered when it comes to private tours in Costa Rica! 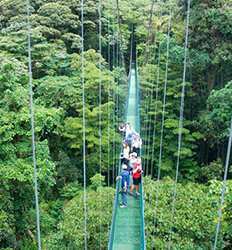 Want to see the amazing Monteverde cloud forest and walk across the famous hanging bridges? Check out the Monteverde Express Tour! The best part is you get to design your day off the cruise ship and explore Costa Rica at your own pace. Want to try out the renowned coffee at the Doka Coffee Plantation? No problem! Did the family-style "soda" eatery you just passed look promising? Let's have a look at the menu! Our 10 and 14 passenger vans are comfortably air-conditioned with a professional driver, so all you need to do is sit back and relax! 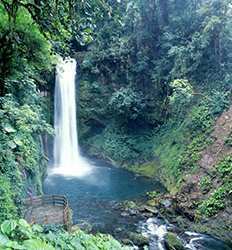 We can also provide a bilingual guide if you'd prefer a Costa Rica expert along for the ride. With The Real Deal Tours, you are in complete control of you time off the cruise ship. If you are traveling to Costa Rica and have only one day in port, make the best of it! Be sure to check your cruise ship schedule to see the time you have allotted in port, then take a break from the large group and book your exclusive private transportation with The Real Deal Tours today!